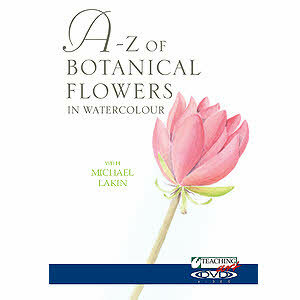 Michael is passionate about Botanical Art and a keen gardener. Combining the two was a natural progression and his studio is surrounded by a well tended garden that provides much of his inspiration and specimens. Michael's first one man exhibition was in 2003, held in Melbourne, Derbyshire, was almost a complete sell-out. His work was selected for the annual exhibition in the Society of Botanical Artists in London in 2004, 2005 and 2006, and was awarded the Highly Commended Joyce Cummings Award for his portrait of Red Onions. Michael has been elected a full member of the Society of Botanical Artists (SBA) and is also a member of the Society of Floral Painters (SFP).